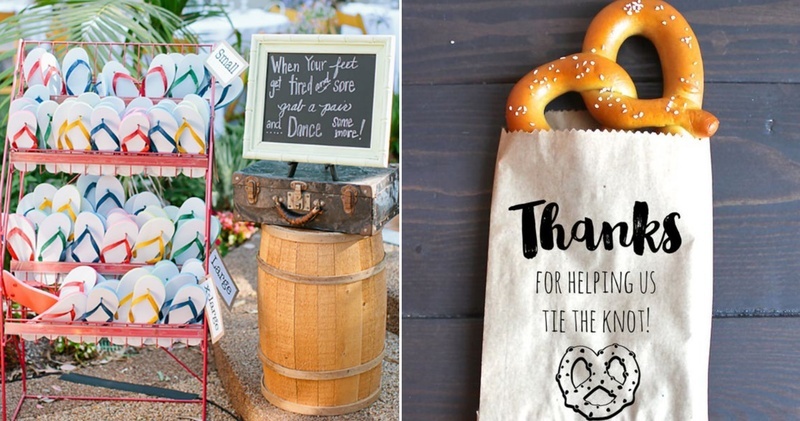 15+ Easy ways to ensure your guests feel more comfortable and involved at your Wedding! Your wedding day will be your new beginning as a couple, taking the vows to be together forever! To witness this special day, your friends and relatives will take time out of their busy lives and travel to be there to support you. So, it’s important your guests feel warm and welcomed on your D-day. With some simple and thoughtful planning you can add some special touches to make them feel loved and more involved in your wedding! We have pulled together 10+ thoughtful ideas to make your wedding guests feel a little more included, comfortable and make your wedding a memorable experience for everyone! Weddings are funny, aren’t they? You send out an invite, your guests accept, then months later they’re sitting at your wedding venue waiting for you to walk down the aisle without knowing who is the guest sitting across the table. To make your guests feel more included, you can use the Wedcraze app. It helps build excitement and get everyone involved before the day has even started. You can send invites about all the pre-wedding functions, describe the theme of the events, tell them the dress code and give hints about what to expect on the D-day! When guests check in to their room, there’s nothing more welcoming than receiving a little treat! Try and include some of your favorite local goodies along with some “must-see” places to visit for your guests! It doesn’t really have to be anything fancy! It can just be a couple of water bottles, some homemade cookies, and a little welcome note from the happy couple making the new, unfamiliar place much more comforting. Help the guests who may not know anyone at the wedding, by including some fun games to get to know each other. You never know if your college roommate might have something in common with one of the groomsmen, strike up a conversation, and then you’ll be attending their marriage in a couple of years! If you are having an outdoor winter wedding, then your guests will really love something to hold in case they get cold! We cannot stress this enough - you gotta keep’em hydrated, irrespective of having a summer or winter wedding! Getting married in summer? Well, these will really help your guests to stay cool from the scorching heat! How about arranging some really thoughtful items like a sunscreen, umbrellas or shades for your guests to keep the sun at bay! Your guests will really really love you for this! If you are having an outdoor wedding, you’ve got to think of these! Monsoon wedding calls for some fancy umbrellas for the wedding guests too! With the drinks pouring in and time passing, the fancy shoes (especially of the ladies in heels) won’t be that comfy to dance the night off! This bucket of slippers will really be a boon. Ain’t nobody will say no to that! While you may be tempted to spend the entire night with your other half, you should try your best to talk to all of your wedding guests. If you’ve got a guest list in hundreds this can be quite tough, but just try to see as many people as possible while still enjoying yourself. Actually saying “thank you” might do wonders. Prep a short and sweet toast that tells your guests how much they mean to you. How about asking your guests to write some heartfelt messages on your new beginning? We say it’ll make a great memory of your D-day! Wedding favours are a great way of sending your guests home with a little something to remember even after the wedding. It doesn't have to be expensive — the more personal and creative the better! Look for more ideas here. Show some appreciation to your wedding guests with this curated list of 15+ ways to make them feel warm and welcomed!